Situational awareness: Amazon's latest target for disruption is sports broadcasting. In a scoop, CNBC reports that the e-retailer is bidding for Disney's 22 regional sports TV networkers. It's in competition with Apollo Global Management, KKR, Blackstone, Sinclair and Tegna. Amazon already owns exclusive digital rights to NFL Thursday Night Football, Axios' Sara Fischer reports. HALIFAX, Nova Scotia — The global economic and tech system appears to be breaking in two, one led by the U.S. and the other by China, in an unfolding new world resembling the competing geopolitical spheres of the Cold War. 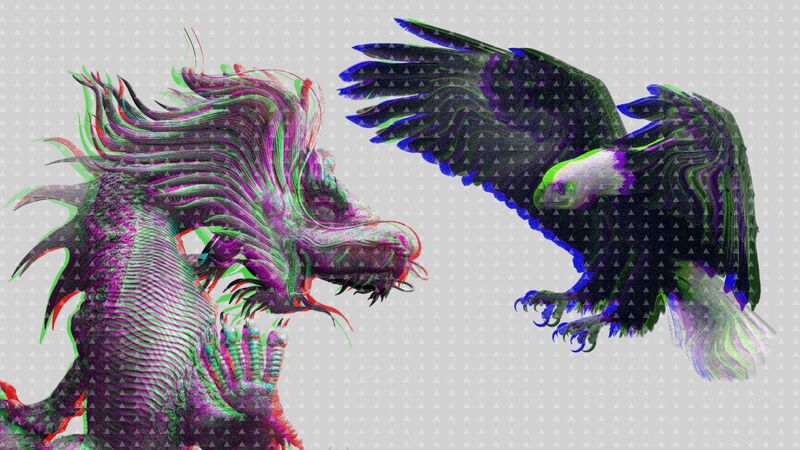 One of the eeriest features of this apparent future will be new virtual and legal "borders," a formalization of attempts already afoot by the U.S. and China to bar the other from the sphere they themselves control. Why it matters: The main battleground for the future is tech — the race to dominate artificial intelligence, robotics, quantum computing, green energy, electric cars and so on. With the trillions of dollars and military power to be gained through these and other technologies, China is out to build itself up and preserve its closed political system; the U.S. objective is to maintain the global dominance it has enjoyed since World War II. Some say that Congress itself may not have the mettle to crack down so hard. Nicholas Burns, a former senior U.S. diplomat and now a professor at Harvard, tells Axios that there is a "trust-busting spirit coming out of Europe," but that he is not certain it will spread to the U.S. But just on privacy concerns, the ground seems to be already fertile for regulation. In a poll by SurveyMonkey for "Axios on HBO," 57% of American adults agreed that social media giants are hurting democracy and free speech. And 55% want the government to regulate them. What's next: Expect tech executives to fight. As of now, they say they are only superficially monopolistic — that they fiercely compete among each other for ad dollars, and for the future of AI. Sooner than many people presume, they say, there will be even more savage, direct commercial competition with Chinese Big Tech companies. But that is the same dynamic that thinkers like Stein believe will bring the sharp new tech divide, separated into U.S. and Chinese zones. Gen. Joseph Dunford, chairman of the U.S. Joint Chiefs of Staff, is unhappy with the readiness of Big Tech to produce products for China while many company employees insist on not working with the U.S. military. Dunford, speaking in Halifax on Saturday, said that the American military needs the help of Big Tech companies to master artificial intelligence, which he said will lead to a battlefield advantage. But his remarks suggested that he continues to find resistance in Silicon Valley in helping the military get there. "This is not about doing something that's unethical, illegal or immoral," he said. "This is about ensuring that we collectively can defend the values for which we stand." Axios' Kaveh Waddell writes: Taking wages into account changes the landscape dramatically. When comparing countries’ actual robot adoption to the quantity one would expect based on their wage levels, Asian countries far outstrip Europe and the U.S.
A childhood memory: NPR’s "Morning Edition" on the car radio on the way to school, punctuated by a line so familiar I could say it along with the newscaster, imitating his trademark lilt: "I'm Carl Kasell, NPR News, Washington." Kaveh writes: The way newscasters speak is unmistakeable, with their exaggerated modulations and drawn-out pauses. Now Amazon has taught Alexa, its voice assistant, to approximate the authoritative intonation. The company used machine learning to detect patterns in recordings of broadcasters’ speech and incorporate them into a new voice for Alexa, reports The Verge’s James Vincent. Alexa's new voice can make it more pleasant to listen to news read out loud by a computer.